A job named pdf calls the xelatex command in order to build a pdf file from the latex source file mycv.tex. We then define the artifacts paths which in turn are defined with the paths keyword. All paths to files and directories are relative to the repository that was cloned during the build. 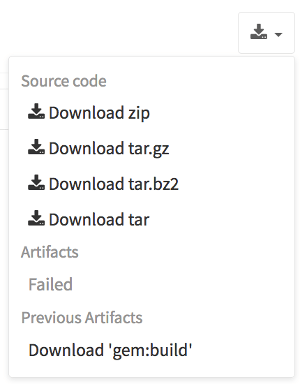 These uploaded artifacts will be kept in GitLab for 1 week as defined by the expire_in definition. You have the option to keep the artifacts from expiring via the web interface. If you don't define an expiry date, the artifacts will be kept forever.